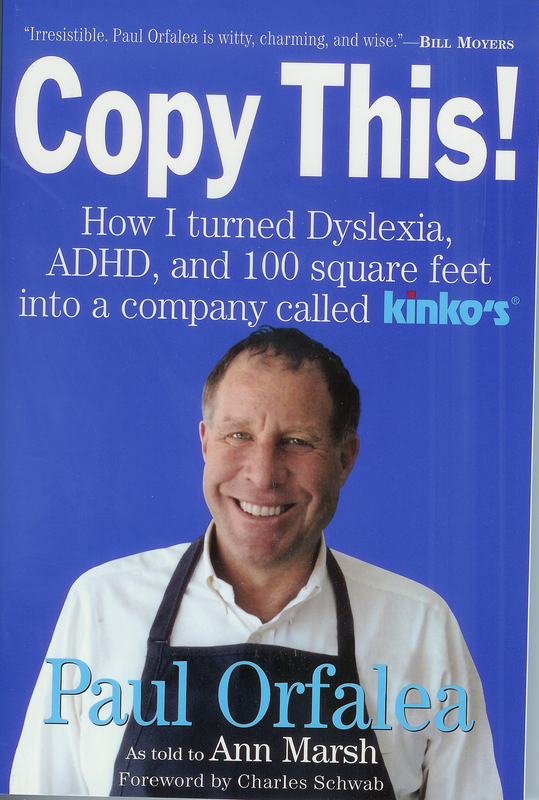 A story of how a struggling kid who could barely read, write, or sit still managed to grow a 10x10 foot copy stand into a $2 billion business empire; of how an individual used learning disabilities as learning opportunities to mold the culture of Kinko's. Orfalea replicates much of the usual business wisdom, like customers come first and keep your co-workers happy and motivated. More original are his autobiographical sections, which explain how a man with dyslexia, an uncontrollable temper and a mistrust of authority managed to grow a tiny California copy shop into a $2-billion-a-year company. His difficulties gave him "learning opportunities," he explains. "They propelled [him] to think differently," he says, and to develop "an unorthodox, people-centered, big-picture business model" that relied heavily on the intelligence and skill of his franchise managers. Orfalea's exuberant and irreverent attitude�he freely admits to cheating in school and relying on others to get him through college�will entertain many readers, and his sanguine acceptance of his dyslexia will inspire many others. It is a book that leaves the reader looking at the world with fresh eyes and ideas. Bill Cosby writes, "Paul Orfaela is a true inspiration to anyone who has been told, 'no, you can't'." 2007, soft cover, 226 pages.